Our group is starting the year with an interview type presentation. 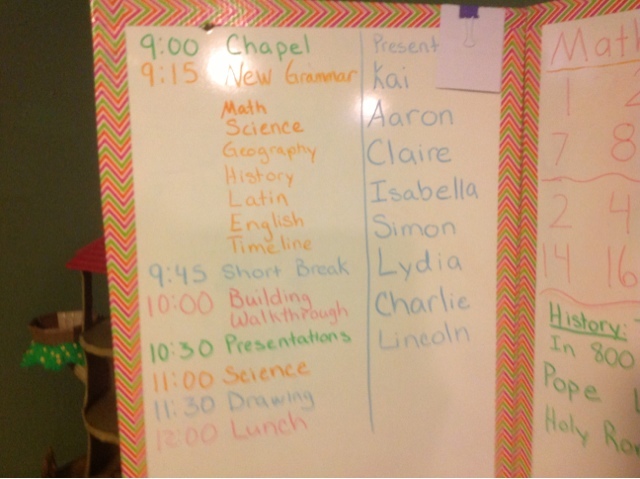 Our skill focus is simply getting to know our classmates (mostly feeling comfortable with speaking in front of them). 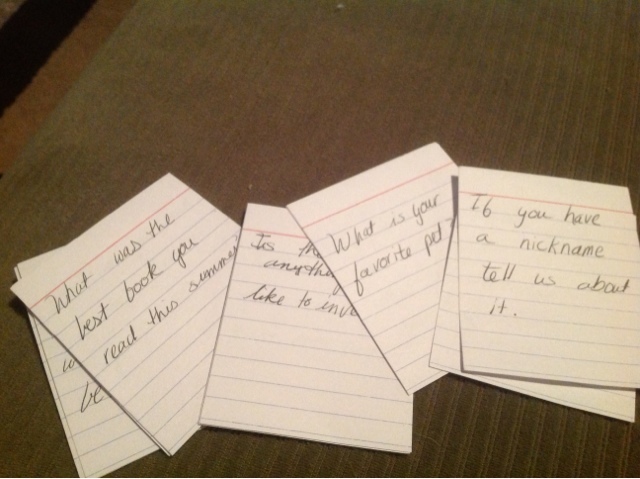 I looked on CC Connected and found a file for impromptu open-ended questions that you can print and cut into cards. I don't recall the uploader's name, but if you search "impromptu speaking cards" you should find it. I think I found it by searching these terms. There were only nine, and I wasn't sure they would all apply to my kids. I decided to clip them to my white board above the presentation "line up", so they are right where I need them when I need them. When making my Line up, I decided to place the students who've been in CC before, near the top. The newcomers will be on the bottom of the list. I thought it nice to allow them time to know what to expect and hopefully relax any fears they may bring. C2W1_sci_exp was another helpful file. Hope this helps your last minute prep for Week 1. We have our first day on Monday!! My girls and I are so excited. I am guessing I'll have another post for you this weekend as I put together my specific supplies Sat and Sun night.